This cartridge heater style shows armor connected with a copper coupling. This style cartridge heater is similar to style-7, yet armor is not swaged in place. This design also provides abrasion protection to the leads. 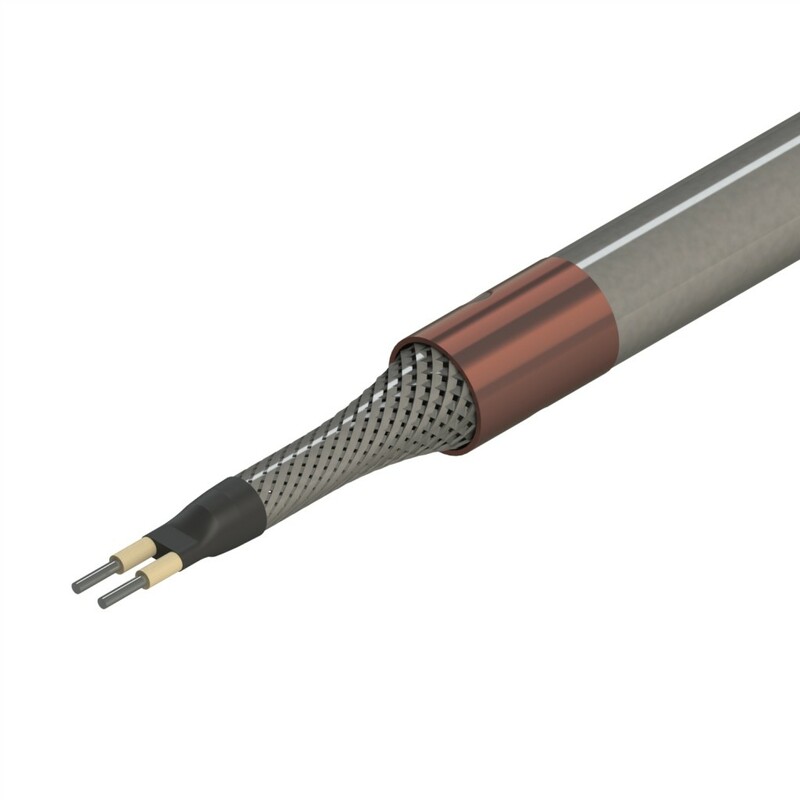 This cartridge heater is NOT available on all diameters.